Home builders have numerous materials from which to choose when deciding on plumbing installation in residences. Among the metals--copper, lead and galvanized pipe--copper is the most common choice. In addition to these metal materials, there are also numerous other non-metal materials that can perform the same duty as copper-based plumbing pipe. These include the thermo-plastics PVC, CPVC and PEX. Plumbing fixtures made of copper. Galvanized pipe installed in outside weather conditions. Galvanized pipe, which has a zinc coating that inhibits corrosion, is more durable than older pipes constructed of steel or iron. 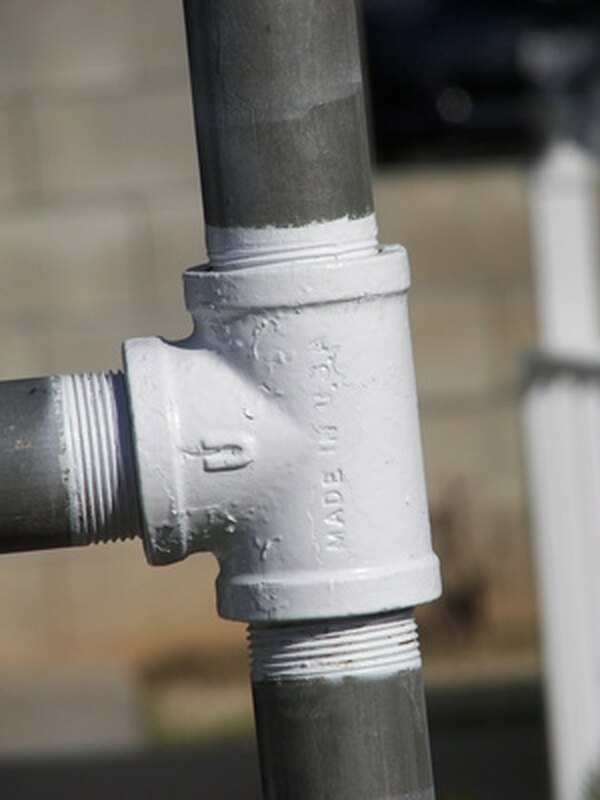 Galvanized pipes can last as long as 40 years and are suited for large construction projects. Galvanized pipe is also suitable for use in sewage plumbing and irrigation systems used in farming. Galvanized pipe is most commonly used for well casings and handrails. Galvanized steel pipe is still employed in some residential applications but is rarely used inside the home due to the tendency for rust to build up in small-diameter pipes, leading to restricted water flow and low water pressure. When used to transport natural gas, the gas erodes the zinc coating in galvanized pipes and the flakes of zinc clog the pipe. The lead content of galvanized pipes can lead to early corrosion. Copper is the material most often used by today's home-builders and homeowners when installing plumbing. Copper pipe is available in small diameters for installation in tight spaces. Copper plumbing is lead-free, making it safer than galvanized pipe. Copper pipes are biostatic and inhibit the growth of bacteria. Copper plumbing requires less maintenance and fewer repairs over time and is naturally resistant to corrosion. 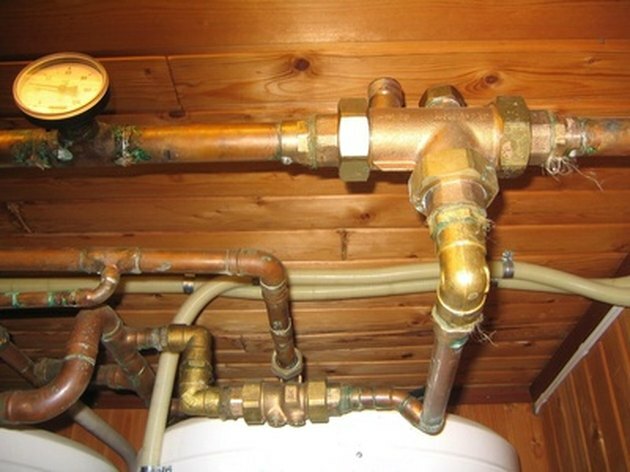 Installing copper plumbing increases the value of a home. Copper plumbing pipes can sometimes fail when water temperature is above 180 degrees. Copper pipes are susceptible to the formation of condensation inside the pipe. If this condensation freezes it can restrict or even block water flow. Copper plumbing can also introduce a metallic taste to water. And copper pipes are more expensive to repair and install than other pipes, such as PVC. Approximately 95 percent of existing homes have copper plumbing, and more than 80percent of new homes are constructed using copper for water-supply piping. Real estate agents assert that an all-copper plumbing system adds value to homes that are for sale. In addition, copper is the one and only water-supply piping material available with a 50-year warranty. Herbert Harris is a retired IT professional who does article marketing and works from home. He has served at the Atlantic Undersea Test And Evaluation Center, a U.S. Navy test range located at Andros Island, Bahamas, and Ascension Island's U.S.A.F. test range.